With co-creator/writer, Mark Gatiss, cryptically tweeting the other day that he’s in Cardiff for a Sherlock press junket followed by more filming, production seems to be moving along smoothly for the mega-successful, critically-acclaimed. 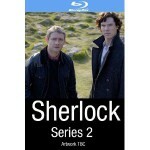 second season of Sherlock, destined for BBC broadcast in late 2011, early 2012 with a U.S. broadcast still set for Spring 2012 as part of PBS’ Masterpiece series. Most recent production news update has Russell Tovey (Being Human) being added to the cast for Gatiss’ Hounds of the Baskerville episode. 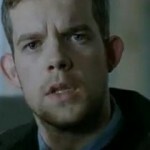 No stranger to BBC and PBS viewers, Tovey has also appeared in Doctor Who, Gavin & Stacey and Ashes to Ashes in addition to his starring role as George in Being Human. 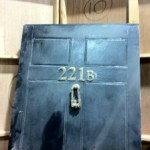 The new set of three Sherlock’s will be comprised of Steven Moffat’s ‘A Scandal In Belgravia’, ‘The Hounds of Baskerville’ from Mark Gatiss and Steve Thompson’s ‘The Reichenbach Fall’. In case you have forgotten the brilliance that is Sherlock, let’s get inside the heads of Mark Gatiss and Steven Moffat and be reminded of some season one greatness. 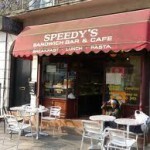 Anyone know of a Sherlock support group?